Nathi Mankayi whose birth name is Nkosinathi Mankayi, is a South African singer, songwriter, and artist. He was born on the 23rd of December 1982 in Mthatha, a small town in Eastern Cape, South Africa. 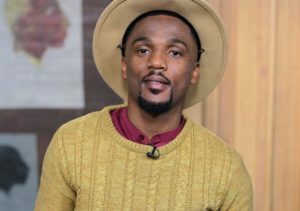 Nathi grew up in Maclear, Eastern Cape, South Africa where he had his education and developed an interest in music and drawing. His sister is known as Amanda Mankayi. He was born on the 23rd of December 1982 in Mthatha, Eastern Cape. He is 36 years old as of 2018. He is married to Mpho Maroane Letlabika who is a businesswoman that hails from Kimberley in the Northern Cape. They had a secret wedding ceremony at Nathi’s hometown in the Eastern Cape. The estimated net worth of Nathi Mankayi is unknown. This page will be updated later with it.